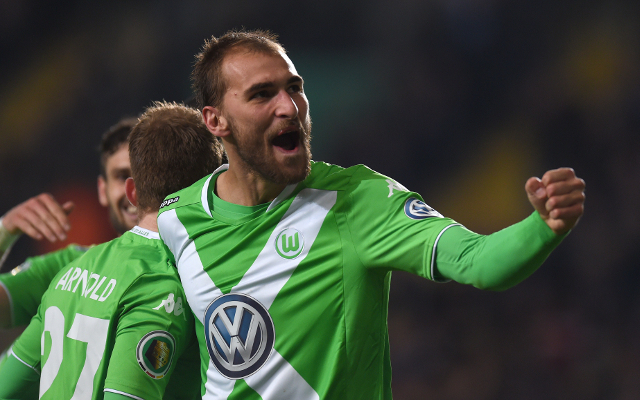 Galatasaray have joined the race to sign Wolfsburg striker Bas Dost as they continue efforts to strengthen their forward line. Stars & Friend – Dost’s management company – agent Mihat Halis has revealed to Emre Sarigul that Galatasaray have made an enquiry as have Besiktas and Southampton. “Galatasaray are interested, so are Besiktas and Southampton but the question is how serious are they. There are no offers on the table and the decision is of course up to Wolfsburg,” Halis said. The Bundesliga outfit are in a strong financial position and under no pressure to sell. Wolfsburg are unlikely to sell unless their valuation is met. Galatasaray have still not replaced star striker Burak Yilmaz who left for China back in January. The Lions lack depth upfront and have been targeting a forward over the summer but will not be able to offer Champions League football like their Istanbul rivals Besiktas. The Lions are currently serving a one-season European football transfer ban due to breaching FFP regulations. Galatasaray will be focused on the league campaign as they will be able to compete in Europe again next season. Despite serving a European competition ban the club are still the wealthiest in terms of revenue in Turkey.